I hope y’all will indulge me in just a moment of product endorsement. 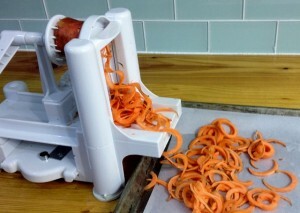 I share recipes often for my favorite kitchen gizmo, the Spiral Slicer. I fondly call it The Noodler. It is used in my kitchen to make dishes like JapChae with sweet potato noodles and Lemon Almond Pesto over zucchini noodles. Tonight I’m off to teach a group of wonderful folks at Whole Foods. We’re going to spend the evening making dishes using the Spiral Slicer. I knew it would be handy for them if they had an easy place to find out where they can buy their very own Spiral Slicer. 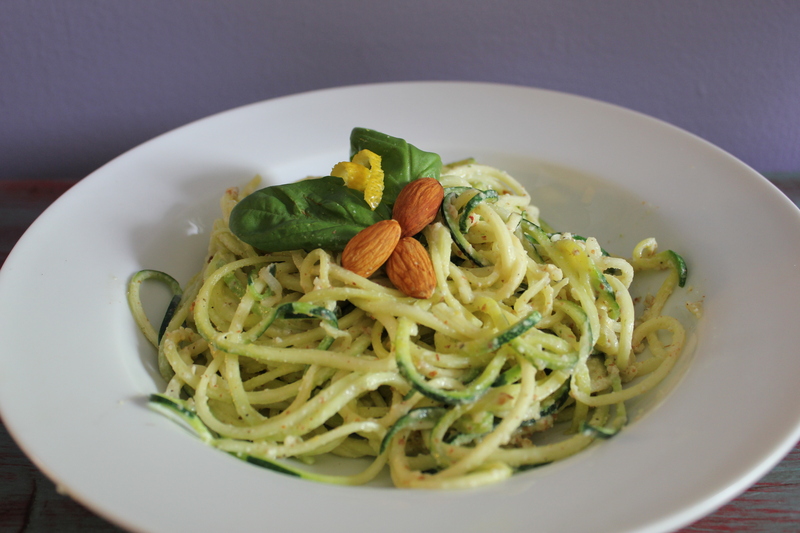 But for you lovely readers at home, I’ve scattered in a few links in this post to my favorite spiralized recipes. This time of year is ideal for using the spiral slicer with the abundance of zucchini and cucumbers. My absolute favorite thing to spiralize is roasted beets. 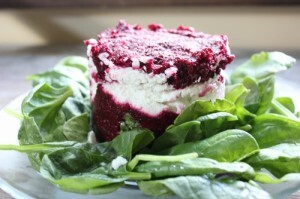 I often place spiralized beets on a bed of green with a sprinkle of goat cheese, red onions and pine nuts. I even made a fancy version of roasted beets with a pepita tapenade for those of you as crazy about beets as I am. 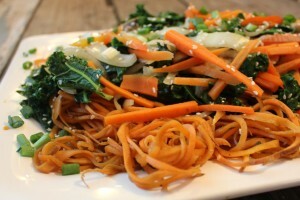 I also created a round-up of many of my favorite spiralized dishes from my food writing friends all over the country. You can find it here. In case you missed the links above, here’s my favorite Spiralizer. If you are in the KC area, I have seen these for sale at A Thyme for Everything in Lee’s Summit, Williams-Sonoma in Leawood and on the Plaza and also at Nature’s Pantry on the Plaza. Happy noodling! This post contains affiliate links. If you make a purchase through one of the links, your price will stay the same AND I will make a small commission. Affiliate links allow me to continue creating original recipes, tested in my own kitchen, as well as other original content at no charge to you. I appreciate your support! What time is the class and how long does it last? Also, what will you be demonstrating? Johnna, thank you for the lovely mousse after yoga class today. It was amazing and I would love to share it with my co-workers!